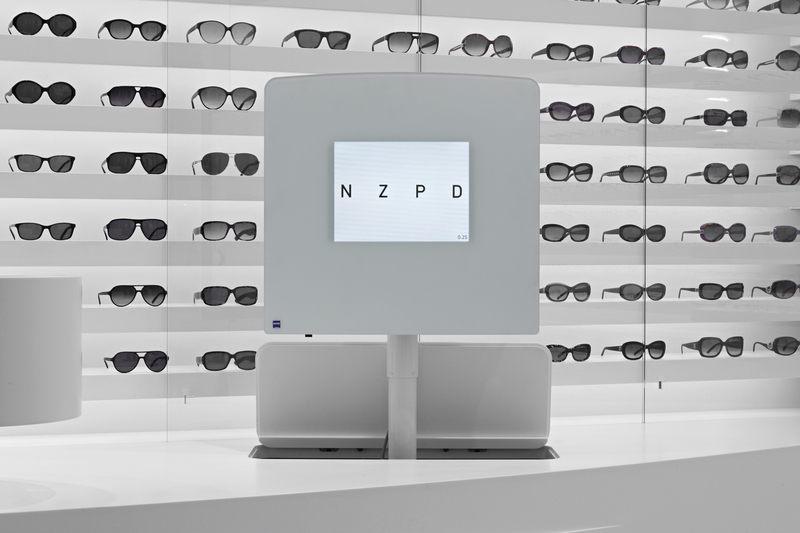 The ZEISS Premium Store at the Kurfürstendamm in Berlin is beaming in shiny white. 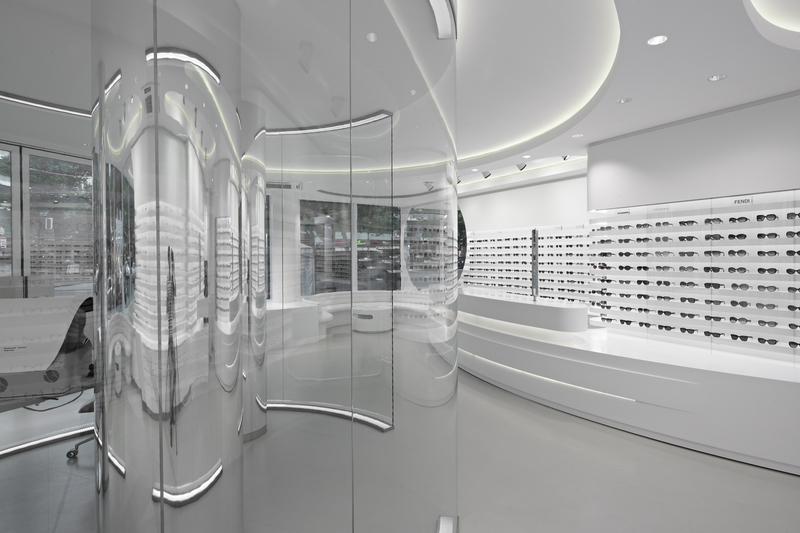 The client enters the futuristic store gravitated towards the pure light. The smoothy and curvy design of the shelves and furniture formes perfectly the reduced Architecture of this triangulated room. 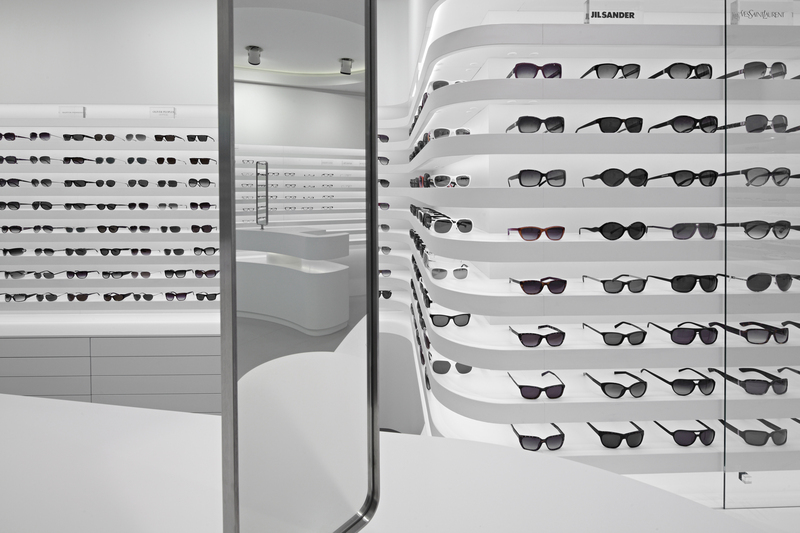 Blue and white coloured LED – Lights illuminate the heart of the visual appearence, standing in the center of the store. 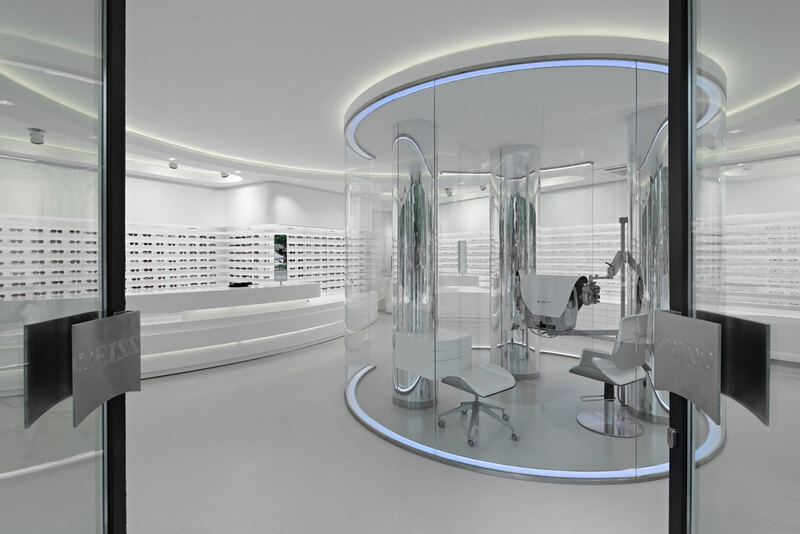 Behind a transparent rotunda the eye measurement will be an unforgetable show. Taking place on this chair will beam you up in the next century. 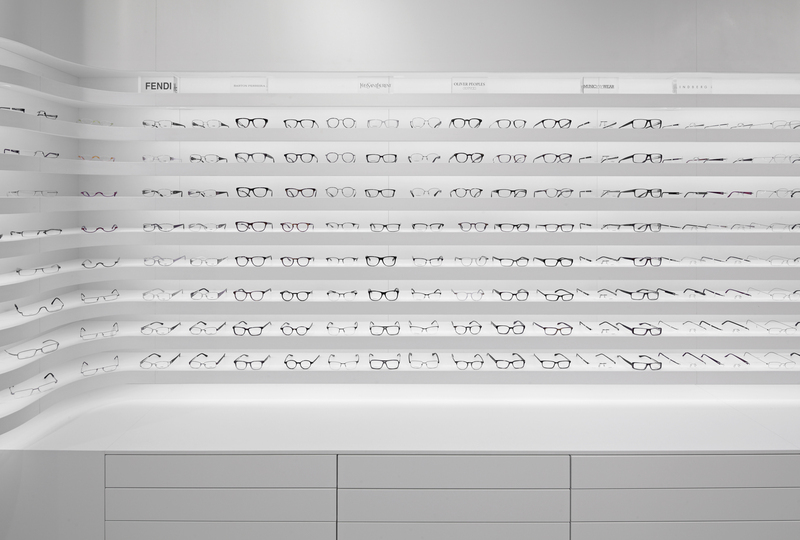 The rotatable and movable instruments give an extraordinary experience. 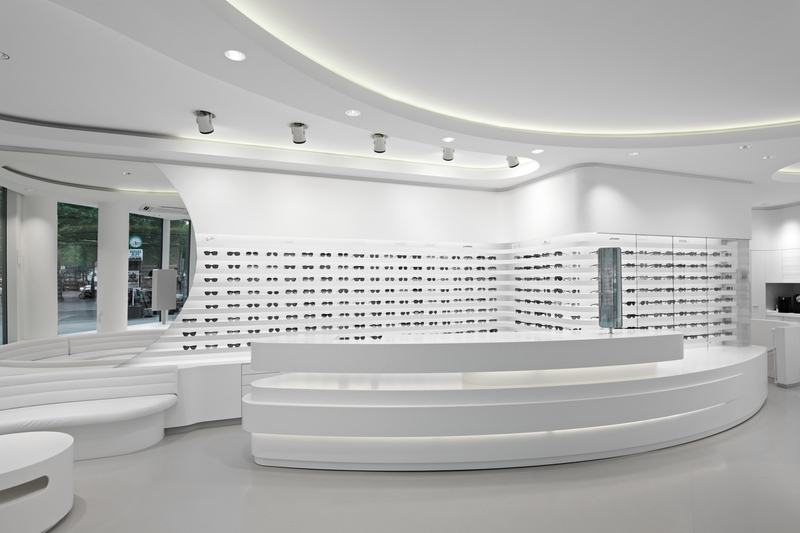 In two rounded lounges the client will be consulted in relaxed atmosphere. 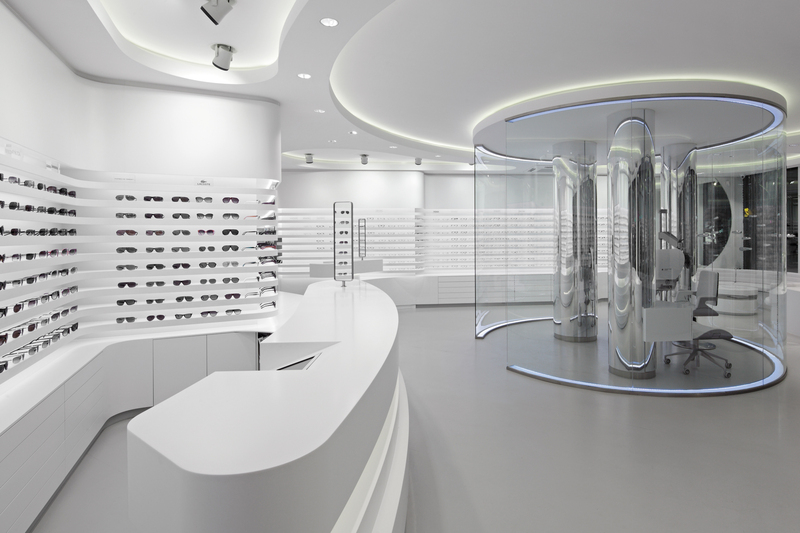 The soft design, the special Illumination and the impressive features make the ZEISS Store to an unique stage for eyeglass shopping.